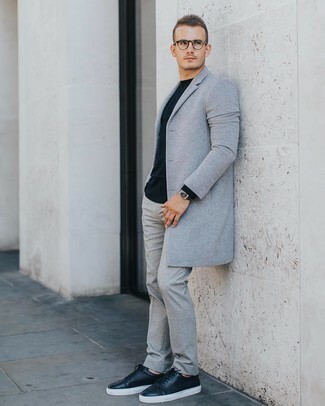 Marrying a grey overcoat and grey wool dress pants is a fail-safe way to inject your day-to-day styling lineup with some masculine elegance. You could perhaps get a little creative when it comes to shoes and dress down this look by sporting black leather low top sneakers. 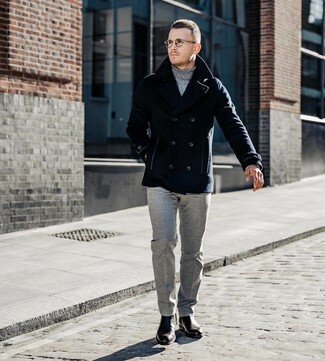 Channel your inner James Bond and dress in a navy pea coat and JB Britches Flat Front Solid Wool Cashmere Trousers. Dark brown leather chelsea boots are a guaranteed way to bring a dose of stylish effortlessness to this outfit. This is definitive proof that a black dress shirt and JB Britches Flat Front Solid Wool Cashmere Trousers from Nordstrom are awesome when paired together in a sophisticated look for a modern gent. Serve a little mix-and-match magic by wearing a pair of black leather tassel loafers. Pair a dark brown leather barn jacket with JB Britches flat front solid wool cashmere trousers from Nordstrom for a classic and refined silhouette. Break up your ensemble with more casual footwear, such as this pair of tobacco leather casual boots. 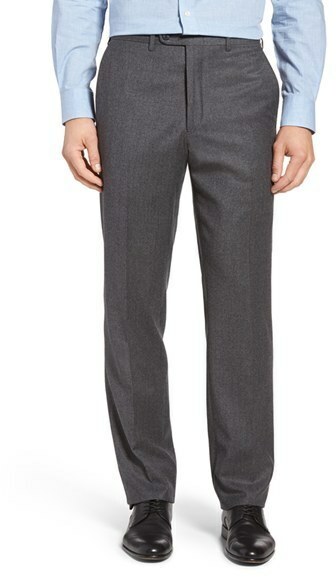 For a nothing less than incredibly stylish look, team a white dress shirt with grey wool dress pants. 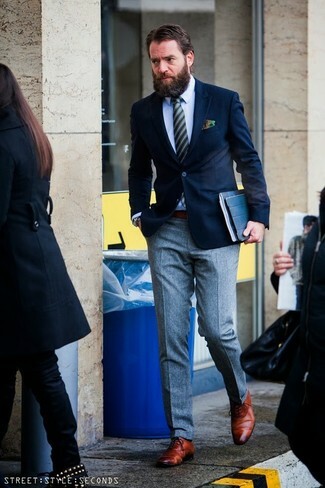 For something more on the daring side to finish off this ensemble, throw in a pair of white leather low top sneakers. 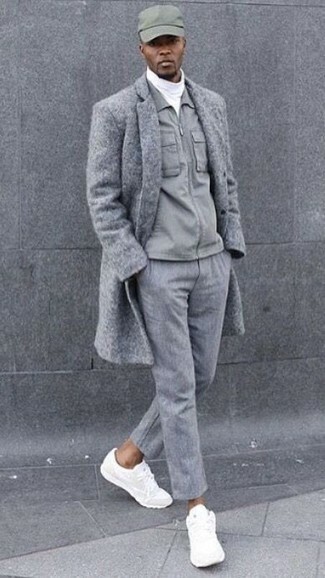 For a nothing less than incredibly stylish outfit, consider pairing a grey overcoat with grey wool dress pants. White athletic shoes will deliver more playfulness to your look. 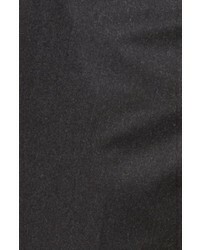 A navy blazer and JB Britches flat front solid wool cashmere trousers from Nordstrom will showcase your sartorial self. And if you want to instantly amp up the style of your look with one piece, add tobacco leather oxford shoes to the mix. 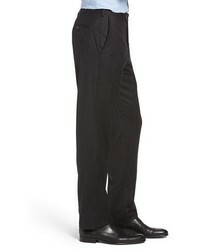 Pair a black shawl-neck sweater with JB Britches flat front solid wool cashmere trousers from Nordstrom for a classic and refined silhouette. Make black and white canvas high top sneakers your footwear choice to loosen things up. 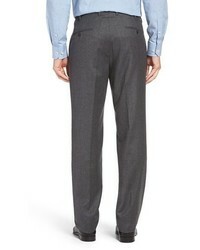 Reach for a white long sleeve shirt and JB Britches flat front solid wool cashmere trousers for a sharp classy look. To bring out the fun side of you, complete your look with beige leather loafers.